If you pay attention to Reston on social media, you’ve seen a firestorm in the past couple days. 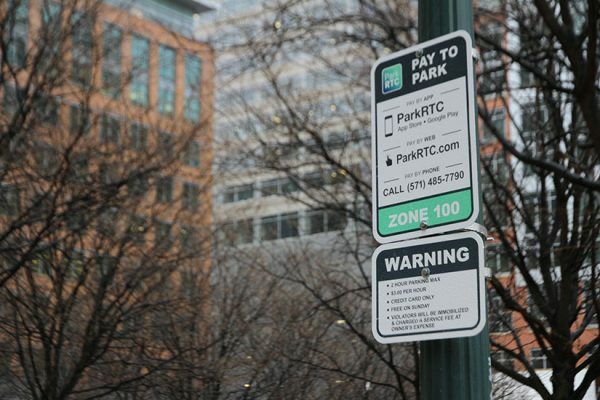 Tweeters and Facebookers alike have responded en masse after paid parking went into effect Tuesday at Reston Town Center. The new paid-parking initiative has many customers of Town Center businesses saying they are staging a boycott. @RestonTwnCenter ridiculous parking situation. Driving on to Tysons Corner from now on. Your retailers be very upset! Nearly 20 restaurants and retailers in the Town Center are validating parking for customers. Rob Weinhold, a spokesperson for Town Center owner Boston Properties, said Wednesday that those businesses are seeing the benefits of helping consumers pay the cost. One of those businesses is Potomac River Running Store, which posted to social media Tuesday that it is validating one hour of parking for customers who make a purchase of $20 or more. Other businesses, such as Starbucks, have chosen to not validate parking. Melina Palomino, a shift manager at the coffee shop, said as most of their customers are coming in on their way to or from work or shopping, they don’t see validation as necessary to their business. Palomino and others said business was slow Tuesday, but they attributed that to an expected post-holiday lull rather than to the parking situation. Weinhold said many businesses in the Town Center continue to evaluate the situation to see how they can best work within the new parking rules. Judging from response online, however, many people feel it already has been. A Tuesday post on Reston Town Center’s Facebook page reminding people about the policy change had more than 275 comments as of 2:30 p.m. Wednesday. RTC staff has been diligently responding to many of the comments on that post and others on the page. Questions about parking validation and app security were among the many that were answered, though a number of commenters simply said they were done with RTC because of the decision. RTC ambassadors were present at pay stations inside parking garages Tuesday and Wednesday to help users with any questions. Weinhold said he was at Reston Town Center throughout the day Tuesday and witnessed no major concerns. “While there are people that don’t necessarily agree with the policy, which is understandable, from an operating perspective the day was a success,” he said.